In today’s career videos, Mike tells us that there are traditional and alternative routes to becoming a school administrator. He followed the traditional route by starting as a teacher and then working his way up the administration side while continuing to get more formal education including a school administration degree. He went from assistant principal to principal and then from assistant superintendent to superintendent. An alternative route would be to come from the business world and go through a special certification program. Similar to what it takes to be a teacher, the requirements differ state-by-state. The National Education Association website will link you to your state’s requirements. Mike also suggests using the U.S. Department of Education website as a resource. Like so many of our guests, Mike explains that networking has been key in building his career, via joining professional networks and finding good mentors. After earning his school administration degree and Doctorate degree, Mike tackled the complex leadership role of superintendent, which is essentially the CEO of a school district. He explains in today’s career videos that responsibilities range from overseeing the learning environments for the children to being responsible for the budget and finances to the grounds and building facilities. The school principal answers to him and he answers to the school board, which in many states is comprised of elected officials. Careers in education administration also include rewarding specialties like curriculum instruction (getting the right curriculum in place) as well as a school business assistant (basically serving as a school district’s CFO). So if you’re thinking about becoming a school administrator, there are clearly many directions you can go – including whether you join a small district like Mike’s or a giant district with many schools. Host of Careers Out There Marc Luber: Hey everyone – welcome to Careers Out There! I’m your host Marc Luber and we’re helping you find a career that fits you. You know how when you’re growing up in school and you never want to get called to the principal’s office because you don’t want to be in trouble? Today’s guest gets to call the principal to HIS office! 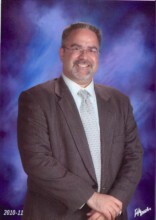 He’s the superintendent of the Pennoyer school district in the Chicago area and his name is Mike Lubelfeld. Mike’s gonna tell us everything that you want to know about school superintendent careers and the role of being a superintendent. I personally never even knew what a superintendent was when I was growing up! So this should be really interesting. Stick around! [Theme song] OK – we’re back – Mike, welcome to Careers Out There! School Superintendent Mike Lubelfeld: Hey – great! It’s great to be here – thank you for having me. Host of Careers Out There Marc Luber: Excellent. Thank YOU for being here. So I’ve gotta ask – when you were growing up, did you get called to the principal’s office a lot as a kid? School Superintendent Mike Lubelfeld: No, actually I didn’t! Host Marc Luber: So this isn’t the kind of role then where you’re looking to get revenge and get the principal into YOUR office? Guest Mike Lubelfeld: No, absolutely not! Absolutely not. Luber: So like I said in the intro, I had no idea growing up – I never really thought about what does the superintendent do. I knew he existed but I didn’t know what a superintendent was. Tell us what is a superintendent and what do you do? Mike: Well, I appreciate the opportunity. A superintendent is in many ways the Chief Educational Officer of a school district. And the superintendent is responsible to the school board, which in Illinois and many other states are elected citizens who represent the people of the community and the superintendent is the direct link to the community via the school board. What that means is the superintendent is responsible for everything that goes on in the learning environments for the children, he or she is responsible for the facilities – the buildings, the grounds, the finance, the budget ….Everything from the paper towels in the bathrooms to the books in the classrooms to the desks to the computers. So the superintendent needs to know everything but really know how to get people around him or her who can do a lot of that work so it’s taken care of. Luber: Wow! So you’re overseeing everything – it’s like being the CEO of a whole company. Luber: So then when you’re talking about the facilities – so if students, let’s say, get in a fight. Someone gets thrown through a window – or if someone comes and burns down a part of the school – that falls on your shoulders? Mike: Yes. Those would be two very unfortunate events that we hope don’t happen but we know they do happen sometimes around the country. A superintendent is responsible A to make sure that the facilities are up to the codes – the construction codes and the state codes – so if somebody was to say, as in your example, go through a window, hopefully that window was appropriately taken care of. Because if that wasn’t, that’s a whole other series of issues. But also to make sure that there’s protocols and plans in place and the students know what’s expected of them and if something happens like that they know the consequence and the teachers and principals are equipped to handle situations. If of course there was a fire, that involves communication, that involves safety #1, that involves the people, materials and everything. So the superintendent hopefully has put into place plans or protocols that exist so that everybody around knows how they will be addressed and knows how it will be taken care of. Luber: Wow. So then what about things like bullying? That’s a huge topic on the news these days. Is that your responsibility? Is that the principal’s responsibility? And where are the lines drawn on that. Mike: Well my answer’s gonna be that’s everyone’s responsibility. Bullying is a terrible, terrible – I wasn’t to say epidemic – because it is going around the nation. There’s some terribly tragic stories that we’re hearing about from older young people and younger young people throughout. The bullying policy, for example, what the state would require a school board to enact, that’s the superintendent’s responsibility to know what the laws are and know what the policies should be. And then he or she advises the board to make sure the policy’s there. Then the superintendent has to make sure that the principal understands what those rules are and that he or she shares it with the teachers and the teachers share it with the students. So it’s overall responsibility and making sure that everybody in the organization including the community and the parents know what is and is not tolerated. And of course here and at all schools, bullying is not tolerated. We want to counsel the bully and mete out consequences appropriate and also help those who are bullied to make sure that they don’t get bullied again. Luber: That’s great. What about the division between your responsibilities and the principal’s? I can see where there could be a lot of overlap there. How is that worked out? Mike: OK. In many ways a principalship is like a mini-superintendency because a principal is in charge of a certain number of faculty and staff and student educational programs but a principal is in charge of a segment of the budget, a segment of the building….So a principal really has to do on a smaller scale what a superintendent has to do on a larger scale for everybody. So they’re similar roles. The principal, I would say, a distinguishing factor, is closer and has more of a relationship with the parents and the students typically in a school district. At my school district, it’s small enough where I’m also able to create relationships with the parents and the students. But a larger superintendency may not have that opportunity. Luber: Interesting. What about teachers then? When there’s been a conclusion that these 2 teachers are really weak and we need to bring in some new blood. Is that your call? Is that the principal’s call? Is that a combined effort? Mike: All of the above. Ideally, everything we do with our teachers is aligned and oriented towards a coaching model where we know what’s going on in the classroom, we know what their strengths are and we focus on them, we know where their areas for improvement are and we help coach and guide them towards improvement. If, in the scenario that you present, that you’re at the end of the rope so to speak and you’ve tried coaching and it didn’t work, you’ve tried remediation and it didn’t work, it would really be a group and team effort – not only with the superintendent and principal and the school board – also with the teachers’ union and if it’s non-union the teachers’ association to make sure that everyone’s got the whole story and that everyone’s got the facts. Usually the goal is remediation and usually the outcome is improvement as opposed to removal. Luber: Very interesting. So what about a typical day? I would assume in a job like this there’s no such thing as a typical day! Is that right? Mike: Absolutely not. There’s no such thing as a typical day, which is actually one of the most , I want to say it’s one of the best parts of educational administration – there is no typical day. Yes, I have a calendar and I certainly have meetings and I have organizations to which I belong and I have to attend and I do walk the building just to check it out and make sure everything is looking the right way and saying hello to the students and teachers, yet on a typical day, whatever happens you have to be ready for it, you have to be equipped with some type of problem-solving abilities to make sure you can solve whatever problems come your way. Luber: Wow. Now your school is what – your district has 1 school? And how many students are in that school? Mike: Right now, here at Pennoyer School, where we’ve been educating the minds of tomorrow for 170 years, I’m proud to say, we are a 1-school school district and we have about 420 students in pre-school through 8th grade. Luber: Wow. OK. And so your office is actually in the school? Physically in the school? Mike: Yes. When you walk into the main office, you see the secretaries and the principal’s office and the superintendent’s office, all there in the main office. Luber: OK. For some people watching who could potentially become a superintendent later down the road, it’s possible that they would be in just a district building – they wouldn’t be in the school – they’d be with other administrators – isolated from the students? Mike: Absolutely. One of the most interesting career paths for aspiring superintendents or school administrators is schools across the country come in all shapes and sizes. So someone could work in a 1- school school district like here and have kindergarten through 8th grade, some could work in a 25-school school district where you have different elementary schools, different middle schools, and as the central office, there’s superintendent and assistants, you’re in a separate building and it’s a little more – I would describe it as more corporate – where there’s more meetings and more things of that nature. Luber: Do people at a school district where there’s 25 schools, do they get to sleep? Mike: Probably not, probably not. Luber: Sounds like a lot to juggle! How does someone break into this? If our viewers are watching and thinking they want to be superintendents, what do they have to do? Mike: Well the most traditional route would be to go from a teaching career into an administration career and I’ll tell you my path and then I’ll tell you about some alternatives. I was a teacher – I taught 6th grade to 8th grade social studies. I then was an associate principal like an assistant or vice principal at a middle school in grades 4-8. I then was a principal of a grade 6-8 school and then I became the assistant superintendent of a pre-school to 8th grade school district and now I’m here as a superintendent. So I suppose you could say I followed the traditional hierarchy of teacher, teacher leadership roles, administration at the building, administration at the district and now the superintendency. That’s most typical. However, in Illinois and in some other states, they allow people in the business world – people in management or leadership or human resources to pursue what’s called ARC – an Alternative Route to Certification. It’s quite possible that they’ll get in a program that will allow them to learn the nuances of school organization, school finance and school budgeting. So there are some opportunities. The more traditional path is what I followed, however I am aware of some alternative routes to certification as well. Luber: Huh! So what people should do as far as learning what they would need in their states, since this is a state-by-state thing, is to go to the National Education Association website, right? Mike: Absolutely. Absolutely. The National Education Association – the largest association of teachers in this country would be a great starting point. You also could look at the US Department of Education. I believe it’s ed.gov, and each state has a department of instruction or education where all of this information will be there for perspective people in the profession. Luber: Excellent. I’ll put links to those on the site. What then, as far as degrees? For each step of the way, did you have to go back to school every time you said “OK, now I’m gonna take my career to this level and this level. Did you have to keep returning to school? Mike: Yes. One could argue that I was probably in 30th grade or something crazy like that. To be a teacher, I didn’t get a Bachelor’s degree in Education. I got a Bachelor’s degree in political science and then I went for a Master’s of Arts in Teaching. So I got a Master’s degree to start my teaching career. One doesn’t need to do that. They can start with a Bachelor’s degree in Education. To get the administration license, I did pursue Master’s level coursework in order to get it – so it was a license or certification program. That carried me through so I had a Bachelor’s, Master’s, and then a little bit more than a Master’s carried me through teaching and assistant principal and principal. In order to get to the central office, meaning an assistant superintendency, I had the Educational Specialist degree, which gave me a broader field of knowledge and it was just shy of the doctorate. And then, to pursue the superintendency, the Doctorate allowed me the depth of study and the depth of analytics and sort of the breadth of knowledge that allowed me to have the credentials and qualifications to come forth at this level. Luber: So the school programs then teach you how to oversee building facilities and finances and all of that detail that you need to oversee every day? Mike: They do. And I don’t want to forget – I do want to add – one of the greatest sources of knowledge has also been professional networks. And every step along the way I’ve joined a professional association, whether it was the statewide principal’s association or the national affiliate or the statewide personnel administrator group or the statewide affiliate or the Illinois Association of School Administrators or the national affiliate, for example. And those professional organizations took sort of the theoretical or esoteric or big picture from the university and brought it back down to a practitioner’s level. So I can’t say enough about networking, mentorship, relationships at professional associations for that on-the-job knowledge that one needs in the trenches. Luber: Networking is what we call Red Magic Marker Territory here at Careers Out There. That is red magic marker territory where everyone should get out their red magic markers and write NETWORKING in giant letters to remind them of how important it is. Luber: We had another guest – it’s funny what you say about the associations – we had a guest who is a journalist for the LA Times – and she said that so much of her career is thanks to being involved in those kinds of organizations. She got to work at the Washington Post, the Miami Herald and the LA Times because of networking through those organizations. She would meet other people who would give her a call and say “we met you at this conference and we want you to come work at our paper”. So not only getting mentorship from older people at those organizations, but future work as well which is great! So what would you say then for getting a job someone needs to do? Is it the same like any other job? You’re hearing about it through networking? Or are there listings online as well and you say “I’ve got the degree – I’m ready”? How does it work? Mike: Well, actually all of the above again! Mike: To specifically pursue the superintendency, the game changes, the rules change a little bit. What you’ve got is you’ve got state organizations that provide executive leadership searches – I think you can call them headhunters, recruiters, whatever the phrase is – and you’ve got private companies that do executive searches. So what I did is I asked other superintendents, current and retired, “where do you look to just start looking at these job listings?” And they gave me some information – and I looked at the big sites – and then I prepared an application. I prepared a portfolio, prepared my resume, prepared the cover letter. Typical same steps you would take I think in any career – it’s universal. And then you throw your hat in the ring, so to speak, get your name out there, again, talk to people and then look for that right fit and look for that right place that has the characteristics and attributes that you think best match your skill set and your desires and then put all your effort and energy into pursuing that and then ideally getting the interview and then ideally getting called back and back and all of the time doing more research to make sure it’s a great fit. Luber: Excellent. What about for someone who wants to be a superintendent but might not go through all the schooling? What are some related things? You mentioned an assistant superintendent. Is that a different level of education that’s required and is that a step – what are some other things that people can do that are related? Mike: Oh sure. The most typical educational administrative jobs are the assistant principal and the principal at the school. And that’s what’s most identifiable to the public. There’s other positions in areas like curriculum and instruction or teaching and learning. So if somebody loves helping others help students learn and help them teach better, there’s a whole world of assistant superintendents for curriculum and instruction. One can pursue a doctorate in curriculum instruction like I did and one could spend their career and follow their passion in doing research on testing and assessment and how the brain learns and helping an organization get the right curriculum and the right standards in place. The same holds true for business. People who have a strong finance background, an accounting background – they can pursue a school business assistant superintendency where they would run as the Chief Financial Officer of a school district. So there’s other, I guess you want to call them, sub-fields in educational administration, that are really rewarding and fulfilling. People can pursue their career in those more specialized areas. Luber: Wow. Really cool! What would you say are the main personality and skill sets that people should have if they’re gonna go down this route? Mike: Be nice, be kind, be outgoing, be truly empathetic and know how to listen to others, have some leadership qualities and leadership traits and understand that helping children learn is the absolute most important goal of any of these educational jobs. Be outgoing! Be out there. Be a little bit of a risk taker. An appropriate risk taker. Luber: What would you say is the most rewarding aspect of this? Mike: Watching children grow and learn and watching teachers grow and learn and improve their craft. Luber: What about the most challenging part? Mike: The most challenging part, I hate to say, some of the politics that might be involved, school finance in and of itself is real tricky and kind of frustrating. The fact that public education is held under such different opinions across the country right now – a challenge is people don’t always hold what we do or find what we do to be as rewarding as it is or as rewarding as we feel it is. So some of the challenges are overcoming some misperceptions and really grappling with the terrible economic conditions right now on the finance side. Luber: And what would you say if you were telling someone to weed them out – is there any big thing that maybe a viewer might be watching and thinking “hey, this path might be for me” but there’s something that you could say right now – “if you’re not like this, don’t even think about it – move on with your life”. Mike: Absolutely – if you can’t handle conflict – professional conflict – if you can’t handle conflict, you’re not gonna be successful as a school administrator at any level. Luber: Conflict. Conflict with the board? Or conflict with anybody – like the teachers or anything because you’re dealing with the hard issues, is that right? It’s the tough stuff that makes it to your desk. Mike: Conflict in general. That there’s always going to be a situation that someone may have a different point of view than you. They may be right. That’s an inner conflict. You have to accept that and go with their way of doing things. There may actually be a conflict where you want to pursue these opportunities and you don’t have the funding. That’s a conflict. So you have to have some great problem-solving skills to work those things out. Luber: And to kind of wrap things up, give us some keys to success for this path combined with an action plan for if someone’s thinking, “I might want to do this,” how can they succeed and what should they start doing today? Mike: Well if you want to pursue the traditional path and pursue a career in education, get a degree in education, whether it’s a Bachelor’s degree or a Master’s degree in education. Become a teacher for a couple of years and in a couple, I mean 2-5 years, get a sense of how a school culture is and what goes on. Seek out leadership roles. Be a team leader. Be a committee leader. Get involved. Find out how decisions are made and become a key decision maker. Then take a risk. Get your Administrative Certificate and pursue an administrative job. I believe you should be an assistant principal and then a principal so you really could learn and grow and make mistakes by trial and error. Give yourself a 3, 5, 7, 10-year plan to get your teaching career started. Become an assistant principal. Then become a Building Administrator. At the building administrator level, sort of take a breath and pause and say “is this what I really love?” And if it’s what you really love, pursue that for the rest of your career. Or, like I suggested earlier, go into curriculum or into business or even into special education. Or, ultimately, into the superintendency. Always have your eyes open. Set goals. Find mentors. Join groups. Do leadership. Practice leadership. Demonstrate that you can exercise the skills needed of a leader. Luber: Excellent, excellent. So informative – this is great advice. You guys – leave feedback in the Comments section so that we could make sure to know did we give you the information you want, is there something more we could have provided. If you have questions, we’ll be here to help you answer those questions. We really appreciate your watching and Mike, thank you so much – this was great. Mike: Thank you for having me. Good luck to everybody out there. Thank you. Luber: Really, thank you so much for your time. You guys – thanks for watching. I’m Marc Luber. Look forward to seeing you again soon. Take care.